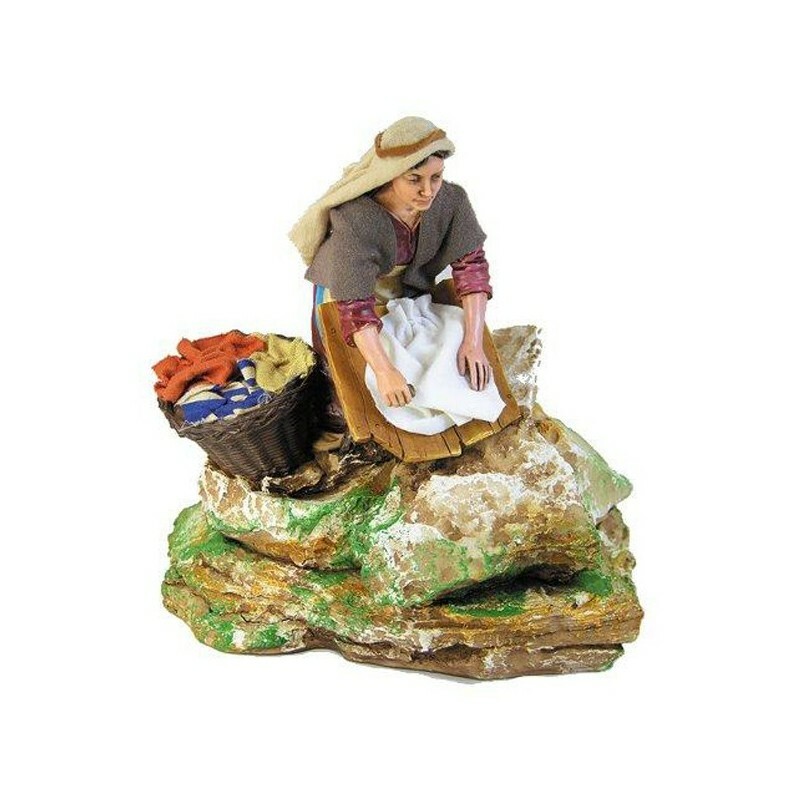 Moving oriental washerwoman of 30 cm for the nativity scene. 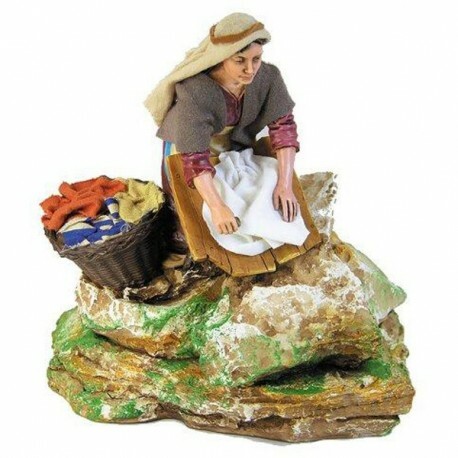 Moving oriental washerwoman of 30 cm for the nativity scene, of resin, hand-painted in Italy. Cm. 16x16x18. She wrinkles the clothes.